The Rangers face-off against the Pittsburgh Penguins tonight at Madison Square Garden (7:00 p.m.), in a matchup between Atlantic Division rivals. The Blueshirts currently rank fourth in the Atlantic Division standings, and seventh in the Eastern Conference, with a record of 24-21-7 (55 pts.). The Rangers enter tonight's contest having been defeated by the Montreal Canadiens, 6-0, Saturday at the Bell Centre, and have now recorded a point in 14 of their last 19 contests (10-5-4). The Penguins enter the contest with a 32-20-1 (65 pts.) record, and rank fourth in the Eastern Conference. Following tonight's game, the Rangers will face-off against the Carolina Hurricanes on Wednesday, Jan. 27, at Madison Square Garden (7:00 p.m.), in their fourth and final matchup this season. 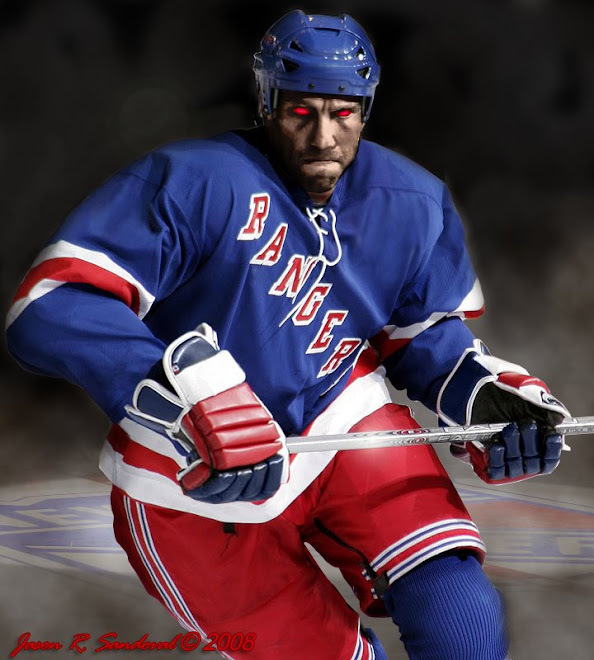 Maybe he'll take a run at Lundqvist tonight as well. Might as well if they've been studying the tapes.